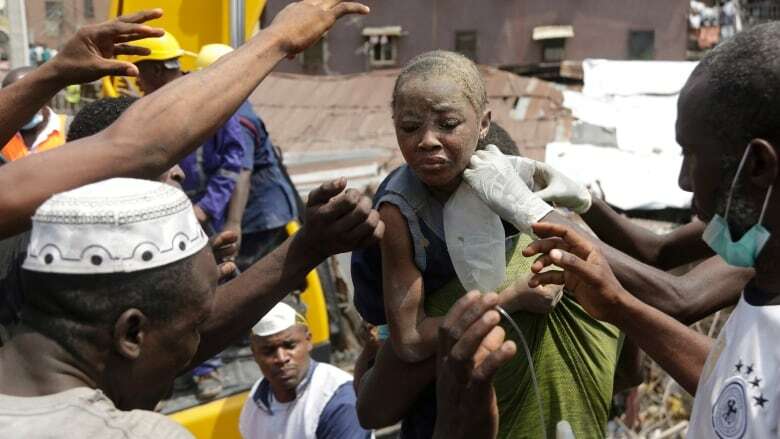 As many as 100 children were feared trapped on Wednesday after a building containing a private school collapsed in the country's commercial capital Lagos, an emergency agency spokesperson said. Workers on top of the rubble shovelled debris away as thousands of people swarmed around the site to watch, many of them angry or hysterical, with police, ambulances, Red Cross workers, fire trucks and a forklift in their midst. 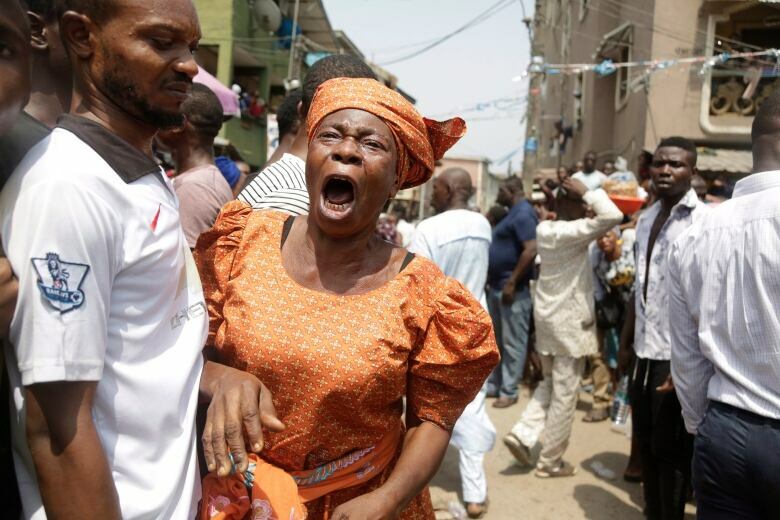 "The third floor of the building was housing a private school in the area," said Farinloye, adding the three-storey building came down at around 10 a.m. local time. 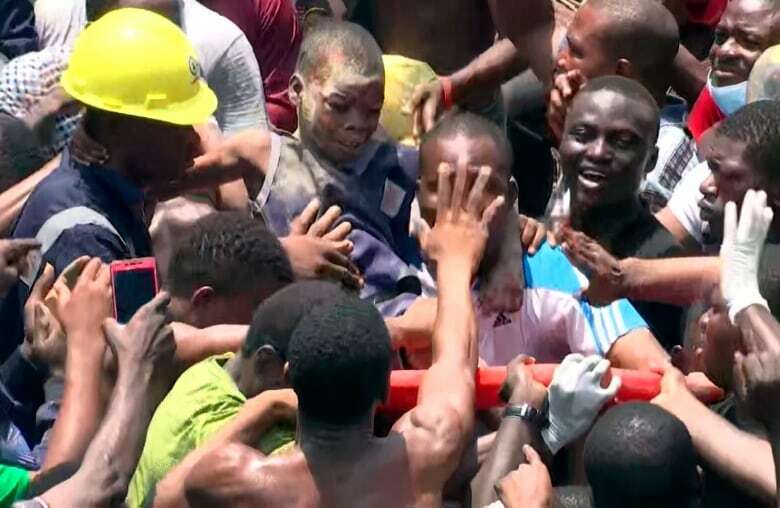 Early in the search, there were cheers as a boy believed to be around 10 years old was pulled alive from the rubble, but the crowd went quiet as another child was freed and did not appear to move. Ambode said the school had been set up illegally and that buildings in the area were undergoing integrity testing. There were residential apartments below the school, Cunningham reported. 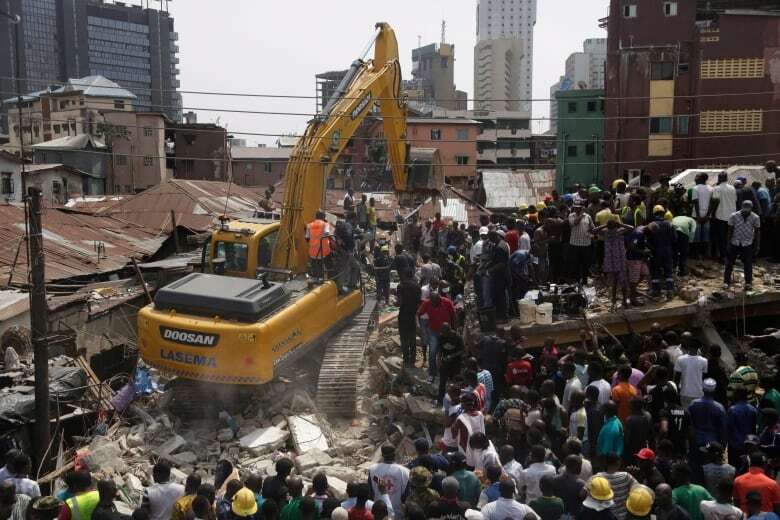 In Lagos that same year, a five-storey building still under construction collapsed, killing at least 30 people.